Eat As Much As You Can: What Baltimore Has to Offer to Its Visitors? Baltimore has definitely become very exciting for visitors due to its festivals. By the way, festivals in Baltimore are not just celebrations of art, culture or music. What makes the city so charming is the local food and drinks. For those who are passionate about trying authentic ethnic foods or favorite local delicacies, there is a festival in Baltimore fitting your taste. Let’s agree this is an experience that all visitors want to have while traveling to new destinations. In the case of Baltimore, it comes in a package. Enjoy the Baltimore bands’ music, satisfy your thirst with beer and eat as much as you can. The options for food and drinks are unlimited. Every month there is something exciting going on in Baltimore. 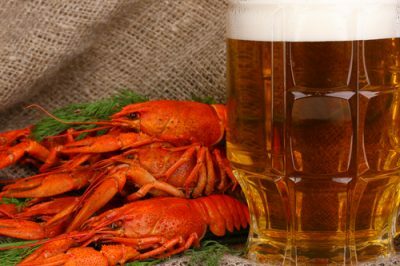 Baltimore is a perfect destination for summertime fun activities, such as participating in Chesapeake Crab and Beer Festival. Baltimore’s largest crab feast features a four-hour, all you can eat crab event. It’s never enough when it comes to crab and seafood, right? You will be hosted in a field covered in tents for your comfort and will be offered more than 50 beers and wines to choose from. Baltimore is also ‘’ vegan-friendly’’. In August the Baltimore’s largest vegan festival is being held. This event offers plenty of vegan food and guest speakers to celebrate the benefits of a vegan existence. It’s hard to imagine Baltimore without Wine Festival. 140 wines from around the world are offered at Canton Waterfront Park accompanied with live music, wine seminars, chef’s demonstrations and, of course, family fun zone. Baltimore is pretty generous to beer lovers. A three-day festival celebrating the magic of Belgian Beer is just about everyone. Check out Max’s Taphouse in Fell’s Point for free. Isn’t it a great option for the weekend? Whether you decide to go to Wine or Beer festival, don’t forget to bring your positive spirit to Baltimore and its people who are hosting you with so much love and care.